Like any normal girl, I love getting presents in the post! 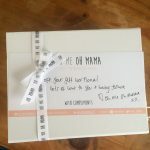 So you can imagine how thrilled I was when this beautiful parcel arrive for me the other day from Oh Me Oh Mama. 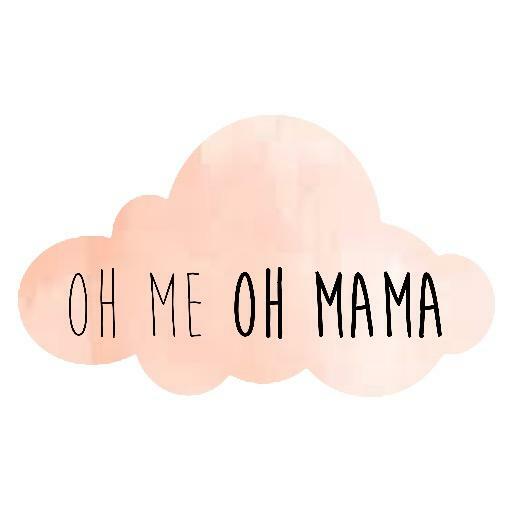 Oh Me Oh Mama is a gorgeous website that sells beautiful hampers of all sorts of shapes and sizes with goodies for new mummies to help them as they start their journey into motherhood and the company prides itself on its six promises to new mums: As well as all this, there are several different boxes to choose from; new mummy, ones specifically for those breastfeeding, a beauty box and a best friends hamper that makes the perfect baby shower gift! I was beyond excited to receive my hamper, which contained products to help me relax. I loved that the first thing I saw was a cute congratulations card; even after five months it’s still so lovely to hear a congrats on the birth of your baby. 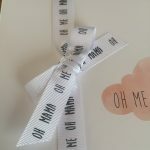 There is also a card with all the details about the site and how their products benefit us hard working mummies! So, on to the goodies. First of all I had Lavendar and Chamomile Skin Balm. This contains a nourishing blend of organic oils and is only made of natural products. 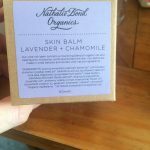 I really appreciated the blend of lavender and chamomile as they are both known for their relaxing qualities and can be used on hands, feet, body and face. It’s a nice light balm and didn’t feel sticky as some balms can do. 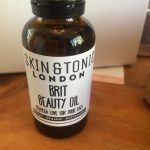 The next treat was a Skin and Tonic Beauty Oil. This is ideal for those fine lines us stresed mummies are more than likely collecting! It’s again organic and packed full of natural goodies. It smells delicious and really reminded me of being in a spa, and it sat nicely on my skin. I used it alone, focusing on the area around my eyes but you can also add it to your regular moisturiser for extra hydration. An absolute favourite of mine is face masks. I love them, so I was thrilled that two of these were included; a charcoal exfoliating mask and a rose purifying mask. 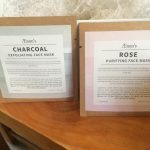 These are really simple to use and both have excellent benefits; charcoal helps to remove dead skin cells and detoxify the skin and the rose purifies and renews the skin. This is definetly a treat for once baby has gone to bed, put this on and lie in a long hot bath; bliss. Speaking of baths the next product is fabulous. It’s a cocoa, shea and honey bath melt. On first look you think it’s a massive slab of white chocolate, but trust me the real product is even better ! I love all three of these butters so the blend is absolutely delicious and I haven’t seen a product like this before. 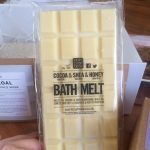 You simply break off a few squares and add to the bath where they melt to a nourishing and gorgeous smelling oil! I loved this I can see me buying many more of these. 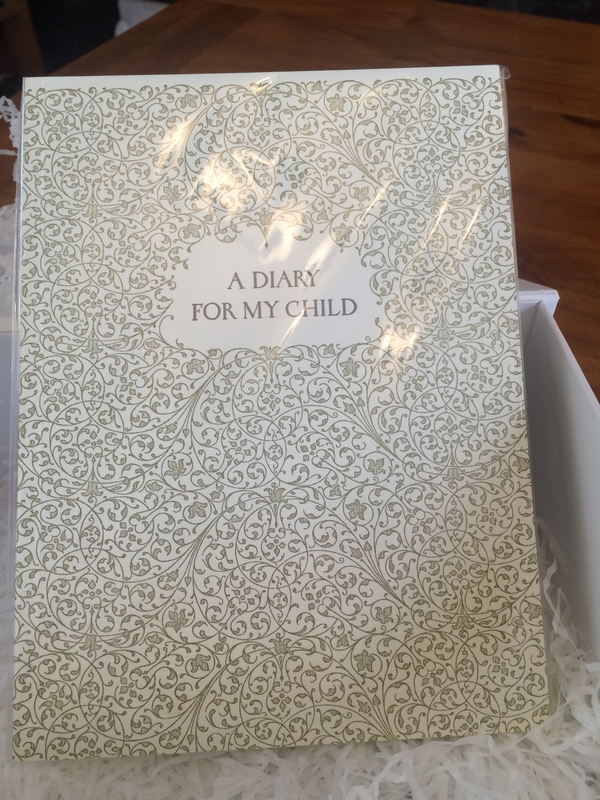 The next treat included was so sweet and thoughtful; it’s a Diary for my Child. I wrote diaries all through my childhood, teens and now feel as though I’ve continued do so with my blog, although I do also still write a private diary of my own. I also know it’s likely with Josh being a boy, he isn’t as likely to keep a diary. So I plan on using this book as a place to write him letters and stick photos in and give to him when he is older. 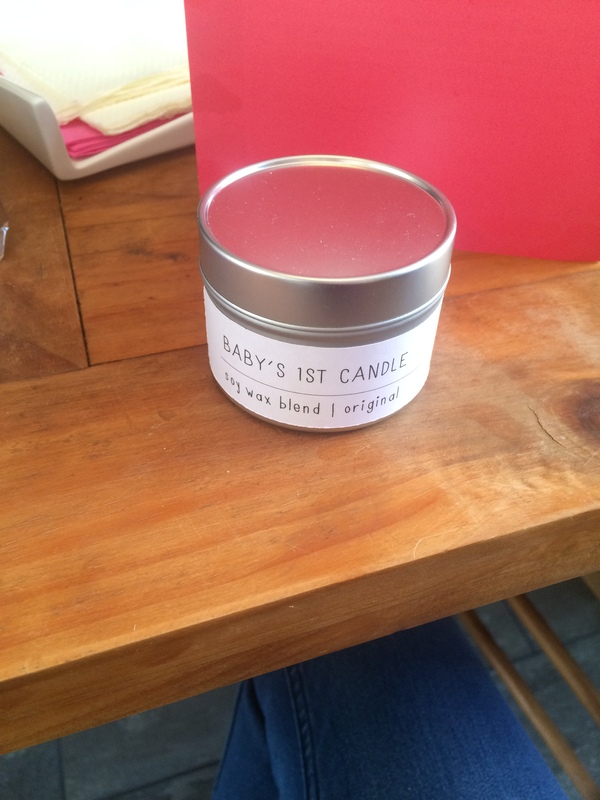 I think it’s such a lovely inclusion to the hamper, really sweet and thoughtful. The final product I received was one that really intrigued me and didn’t disappoint. They are lactation cookies; “fresh cookies made with the finest ingredients, created to help breastfeeding mamas give their boobie juice just a little boost and aid the natural lactation process by increasing milk supply”. These are absolutely delicious and have organic ingredients and a taste of cranberries for those of us who have a sweet tooth! These did not disappoint, they are so yummy I could have eaten way more than three! I was so pleased they were included and will 100% be ordering more. 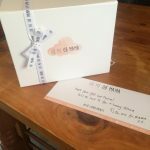 As a new Mummy I cannot think of anything better than receiving one of these hampers in the post; they are thoughtful, cute and all natural so you can be at complete ease using the products without the worry of any nasties going into your body, particularly if you are breastfeeding. 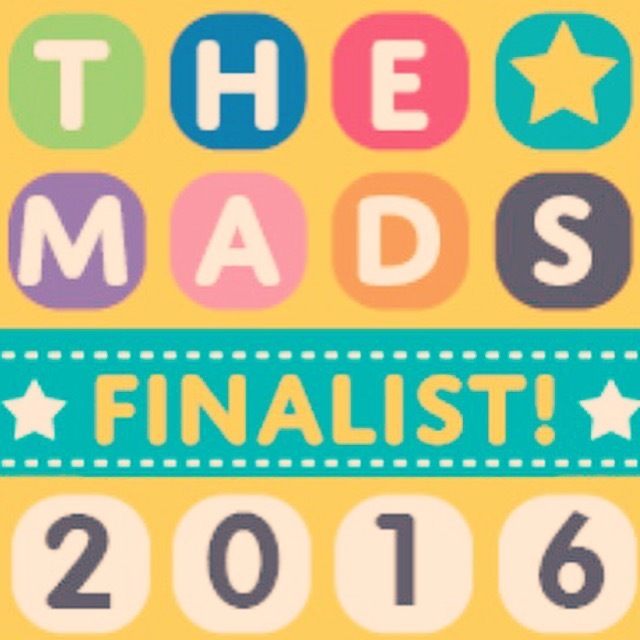 So head on over to this fantastic website and treat yourself or someone else! The hampers are amazing value and I guarantee you won’t be disappointed! One very happy and relaxed Mama!